In its last meeting of the academic year, the FIU Board of Trustees extended President Mark B. Rosenberg’s contract and elected officers. After giving Rosenberg a rating of “superior” for the accomplishments of the 2016-2017 academic year, at a May meeting, on June 6, the board unanimously approved a one-year extension to Rosenberg’s contract. The Florida Board of Governors, which will consider the contract for approval at its next meeting, limits contract extensions for sitting university presidents to one year. The extension runs through 2020. “Our university is an incredible hub of determined, hard-working students, faculty and professionals. It is a privilege and a blessing to be a part of FIU,” said Rosenberg, who became FIU’s 5th president in 2009. Rosenberg came to FIU as a political science professor in 1976, rose through the ranks founding the Kimberly Green Latin American and Caribbean Center, becoming dean and later provost. Since taking the helm in 2009, Rosenberg has guided the growth of FIU in size, stature and reputation, leading the university to achieve important benchmarks: FIU is classified among the top research universities in the nation by Carnegie, the institution, as well as several individual programs are ranked by U.S. News and World Report, and FIU law graduates consistently pass the Florida Bar Examination at higher rates than colleagues from other Florida schools. This fall’s entering class has the highest academic qualifications of any freshman class in FIU history. The Board of Trustees also elected Chair Claudia Puig to her second term, and chose Trustee Jose J. Armas as vice chair. 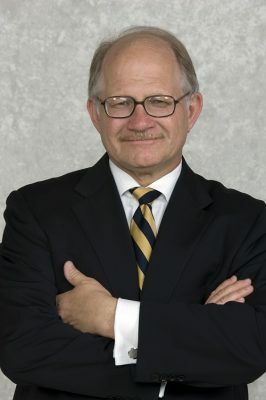 Since taking the helm in 2009, Rosenberg has guided the growth of FIU in size, stature and reputation, leading the university to achieve important benchmarks: FIU is classified among the top research universities in the nation by Carnegie, the institution, as well as several individual programs are ranked by U.S. News and World Report, and FIU law graduates consistently pass the Florida Bar Examination at higher rates than colleagues from other Florida schools. Our President Mark, is a “Triple Crown Winner”, all the way, has always been…. Congratulations To you Mr. President. If you weren’t here you should be our Secretary of State of these United States, Maybe even President. You have that quality that is rarely seen…God Bless You God Bless FIU God Bless the People of Miami for together that is the Triple Crown of Education the community is fortunate to have. What about the bridge collapse. Is that one of the outstanding achievements? This guy is all about making students into “global” citizens. Absolute political agenda being forced on young minds. And paying for it as well. Campus used to be a nice quiet place years ago for Miami residents mostly. Now it’s all about money, status, notoriety, sports. Same as any other University now it’s all about the money.